The third member of the Rainforest of The Sea palette family, Volume III is an eight-shade eyeshadow palette featuring a very shimmery array of neutral shades. 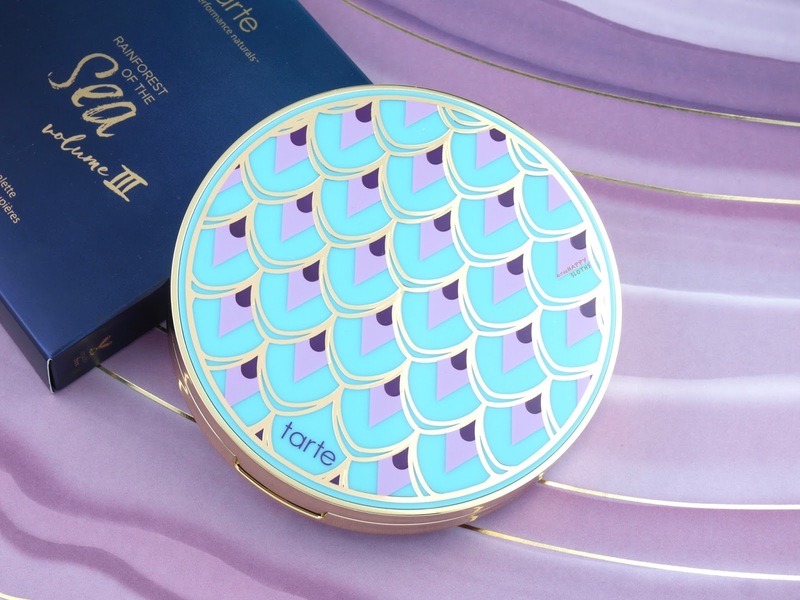 Similar to the previous two palettes (Volume I reviewed here, Volume II reviewed here), the Rainforest of the Sea Volume III is housed in a gorgeous round gold compact. The lid bears a colorful mermaid's tail pattern and the inside holds a large mirror. Each shadow is 1.5g so you are definitely getting a good amount of product. Out of the eight shades, only one is matte and the rest are all intense shimmers. Because the shimmers are fine and non-glittery, the shadows also double as face and body highlighters. Formulation-wise, everything is amazing as expected. Each and every color is pigmented, smooth, and unbelievably creamy so I won't do individual shade breakdowns. 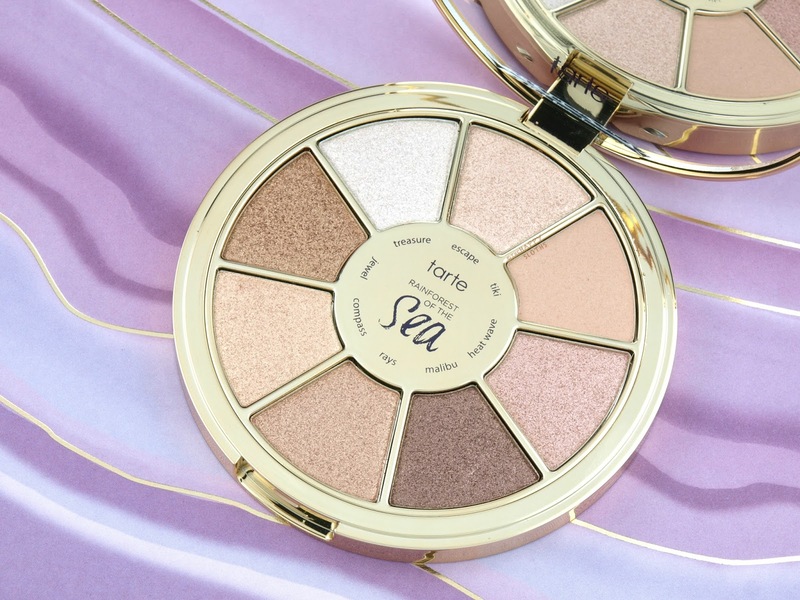 All in all, this is an excellent palette made for those that love shimmery eyeshadows. I personally would have like one or two more mattes or satins, but the amazing formulation definitely won me over. If you like the colors you see in this palette, definitely check out both Volume I and II as well since they offer similar neutrals with a wider selection of finishes. Housed in a gorgeous glass dropper bottle and formulated with oils of jojoba, passion fruit (maracuja), macadamia, and coconut, the Rainforest of the Sea Radiance Drops is a multi-purpose beauty oil sprinkled with a dash of subtle champagne shimmer. 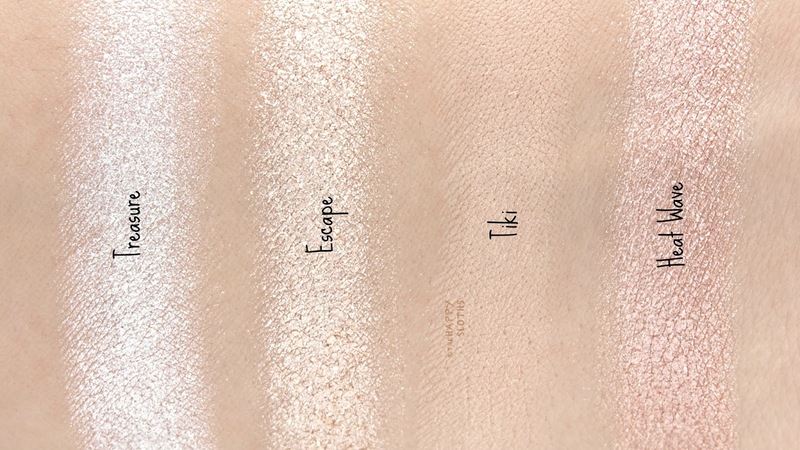 I initially thought that this is a liquid highlighter but the Radiance Drops is actually quite sheer. 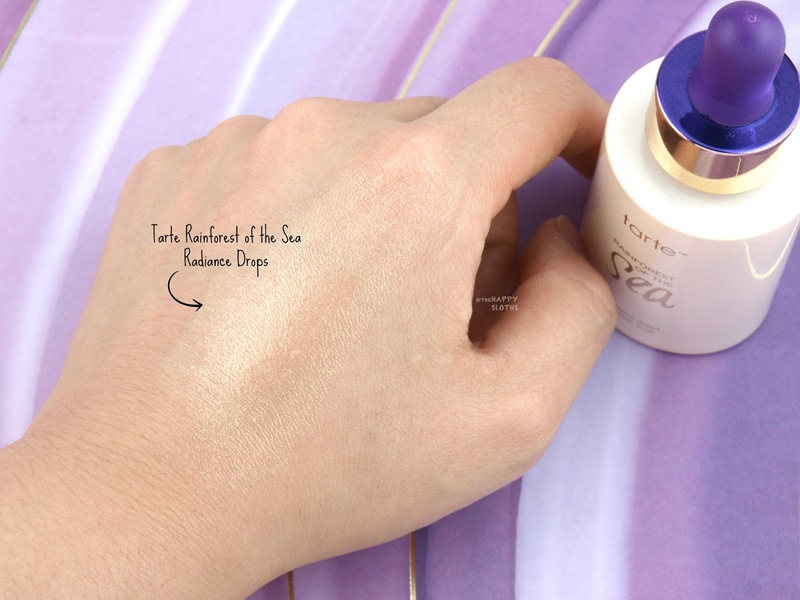 Tarte recommends using it under foundation, mixed with foundation, or alone on the body as a lightweight dry oil. Because I have pretty oily skin, I personally wouldn't use this on the face but the oil applies beautifully on the arms and the decolletage area. It absorbs quickly and leaves behind no greasy residue. 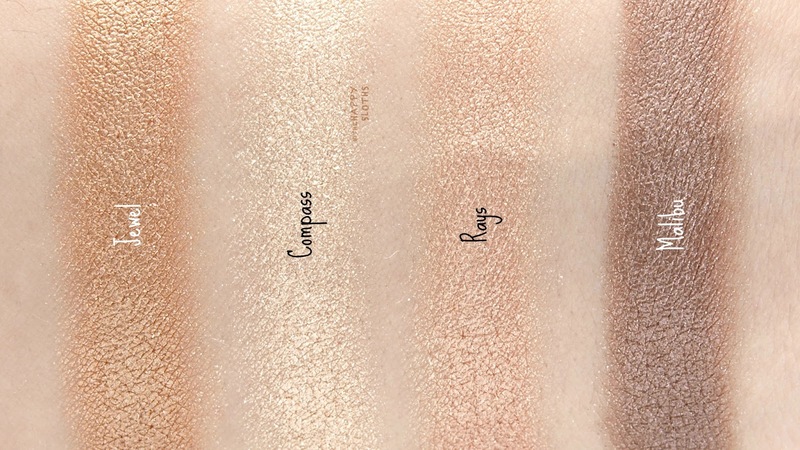 You get just a hint of shimmers, very sparse and very subtle. I'm a little disappointed that the oil doesn't have much of a scent as a light tropical fragrance would have been a nice touch. 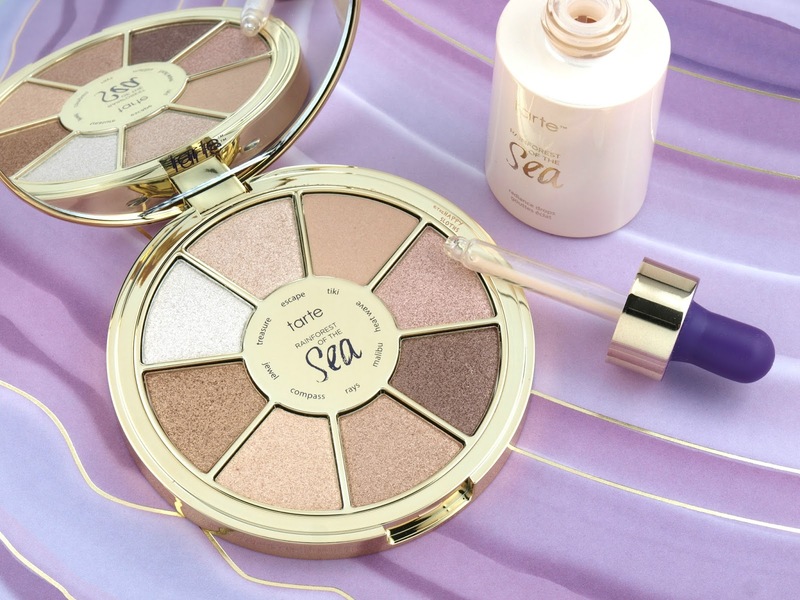 Do you own anything from the Tarte Rainforest of the Sea Collection? Will you be picking up either of these products? Share with me in the comments below! 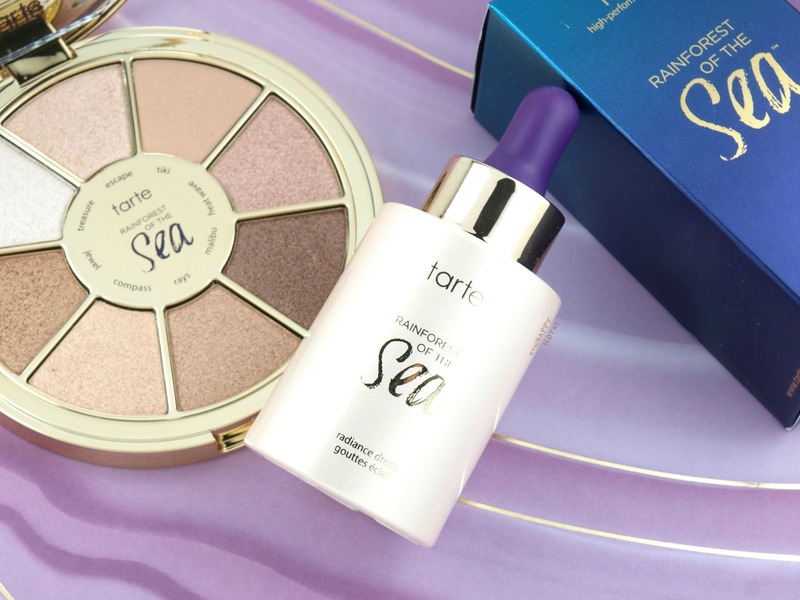 Tarte is available in stores and online at Sephora and Tarte online.